When Amazon.com launched in 1995, it was with the mission to be Earth’s most customer-centric company. This goal continues today, but Amazon’s customers are worldwide now and have grown to include millions of Consumers, Sellers, Content Creators, Developers, and Enterprises. Each of these groups has different needs, and we always work to meet those needs, by innovating new solutions to make things easier, faster, better, and more cost-effective. At Amazon, our evolution has been inspired by the spirit of innovation that is part of our DNA. 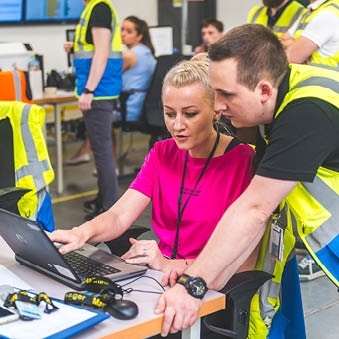 As a new college, graduate or intern, you can have multiple opportunities to innovate and solve real-world, complex technical and business problems as you join us on our journey. We strive to hire passionate, creative and astute minds from universities around the globe, and have various meaningful career opportunities available for undergraduates and advanced degree students with diverse academic backgrounds. The work environment here is collaborative, dynamic, continually evolving, and every Amazonian is passionate about ownership and delivering results for the company. 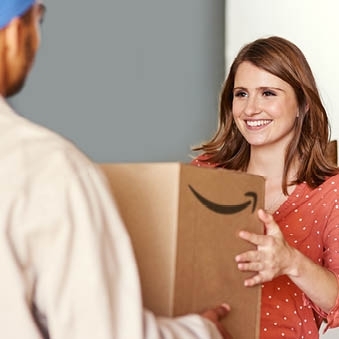 If you want to work in an environment that will challenge you to relentlessly improve the Amazon experience for our customers, where each day is different from the next, and your learning never truly ends, take a look at Amazon’s many University opportunities. Among various other positions, we offer you great opportunities to become part of one of the world’s biggest Logistics and Operations network. In our Fulfillment Centers, we are working as smart as we can to continue delighting our valued customers. Within these facilities, our teams are the engine driving the entire business. Together, we handle everything from Inbound/Outbound Logistics, to Engineering, to Transportation.